Last week, APRA (Australasian Performing Right Association) announced the songwriting and their publishing winners of the 2013 APRA Music Awards. This week MAX has highlights from the Awards premiering Wednesday, June 26 at 8pm. 2013 APRA Music Awards on MAX celebrates and showcases the greatest songs and songwriters of the past year. Hosted by Chit Chat, this 30min special will deliver highlights from the esteemed event including red carpet action and interviews with the winners. The Awards honour songwriters across a range of categories, including rock, urban, pop, dance, country, blues and roots, as well as the contenders for the coveted peer-voted APRA Song of the Year. This year’s winners included a roll call of some of Australia’s finest contemporary songwriters, such as Kevin Parker from Tame Impala (Song of the Year), SIA (Songwriter of the Year), Matthew Colwell aka 360 and Kaelyn Behr aka Styalz Fuego (Breakthrough Songwriter of the Year), Hilltop Hoods with SIA (Urban Work of the Year) and many more. 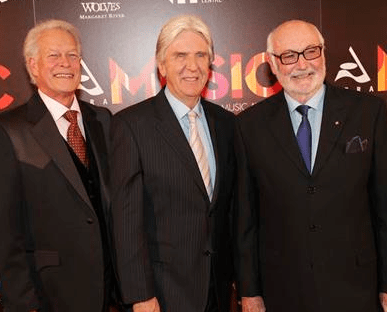 Celebrating its 31st year, the APRA Music Awards is the annual night of nights for Australian songwriters and honours the rich talent of music composers, lyricists and songwriters who have achieved the highest performances of their work over the previous year. Catch the highlights of the 2013 APRA Music Awards this Wednesday, June 26 at 8pm on MAX.